This programme has lately been revised promoting Cyprus to one of the most exotic and favourite European destinations. The revisions to the programme are meant to meet the Cypriot government to attract and stimulate foreign investment. To this end, the Ministry of Interior has made it easy to issue Cyprus residency permit to non-EU nationals who would tend to make investments within Cyprus. The dependent parents of both the applicant and spouse (e.g. grandparents) are considered eligible for Cyprus permanent residency. If the spouse has already obtained PR, his or her parents are also able to obtain PR. The applicant’s dependent children who are over 25 are able to retain the permit for permanent residency. They can retain it whether or not they are financially dependent, marry, or stop studying. In the following section, a short account of the Cyprus Permanent Residency Fast-track Programme is provided. It includes the requirements for eligibility and investment. In an international lifestyle review, Cyprus has been ranked as the 5th best destination in the world. The review was conducted by Knight Frank in 2014 that is a leading and independent real estate consultancy company. Ranked by key leisure and business indicators, Cyprus and Switzerland are European destinations that are ahead of London, Madrid, and Monaco. Investment in Cyprus is also attractive because of its favourable tax regimes intended for new residents. The country is the sunniest European destination with at least 320 days of sunshine in a year. It has proved an ideal destination for permanent residency applicants particularly for those who are non-EU nationals. Cyprus permanent residency enables these applicants to travel visa-free across Europe. The Ministry of Interior has lately simplified the process of issuing Permanent Residency Permits to non-European nationals who tend to invest in Cyprus. Why to apply for permanent residency in Cyprus? Cyprus Permanent Residency Permit facilitates access to the Schengen Zone removing restrictions on travelling across Europe. It enables a non-EU national to be permanent resident of Cyprus without renewal requirements. This permit covers all the family members including the main applicant and spouse, their parents and dependent children up to the age of 25 – dependents must be enrolled students and they can’t be working towards a professional degree i.e. PhD, medical doctor, lawyer, chartered accountant etc. All applications are reviewed by Migration Department and the Civil Registry. The Ministry of Interior will grant final approval within 2 months from the date of filing the application. The applicant’s application can be processed in their absence and filed on their behalf. Denmark, Latvia, Ireland, and Slovenia recognise Cyprus Permanent Residency. Applying for Cyprus Permanent Residency Permit (PRP) is the first step to obtain Cyprus citizenship. As a Cyprus tax resident, the holder of PRP is exempt from tax on interest income and worldwide dividends for a 17-year period. Besides, a Cyprus tax resident is also exempt from what is gained on disposable securities. This is considered to be the most attractive personal income tax regime within the entire tax world. The Cyprus Permanent Residency Programme and also that of Cyprus Citizenship have proven highly successful. They could attract investments into Cyprus from third country nationals. The status of English as an accepted language for business and a language widely spoken in the country. 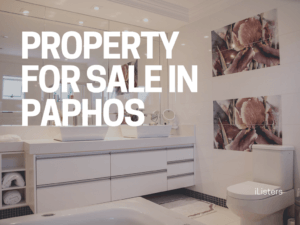 Purchasing a first-time sale residential property in Cyprus that is worth at least EUR 300,000: the applicant is required to make an initial payment of EUR 200,000. The presence of the applicant at the time of purchase is not a must and legal representatives can facilitate it on their behalf. The applicant must prepare the application for Permanent Residency and legal documents and submit them to the Migration Department and Civil Registry. Your representative can do this on your behalf if they are granted a Power of Attorney. 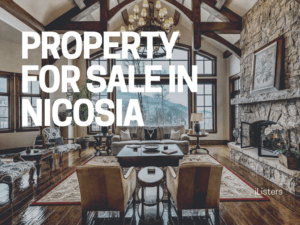 If the necessary criteria for investment are met, you will receive your Cyprus Permanent Residency Permit within two months of submitting the application. To obtain actual permit and have your biometrics taken by authorities, successful applicants must visit Cyprus within one year once their Permanent Residency Permit has been granted. Then, they need to visit Cyprus once every two years. Holding a three-year fixed deposit account with a Cypriot bank with a minimum balance of €30,000: the deposited money must come from sources outside Cyprus. Providing evidence for annual income of at least €30,000 that comes from outside Cyprus: there will be an addition of up to €5,000 to this amount for each dependent who is included in the application and up to €8,000 for each parent of the main applicant and/or spouse. Declaring they do not intend to be employed in Cyprus – those who hold PRP, however, may own a company in Cyprus and receive dividends from its profit. Who can apply for Cyprus Permanent Residency Permit? The permit issued covers the applicant’s spouse and children who are up to 17. When is a PRP revoked? Q: I am interested in Category F immigration permit or permanent residency in Cyprus. My annual income is over EUR 30,000 and my wife’s is something between EUR 15,000 to 20,000. Given the above and before I apply for Cyprus permanent residency, I would like to raise a few questions. Can my wife be the main applicant for permanent residency (PR) – we intend to purchase property in her name? Does the family (man and wife) income count? Or only those who are main applicants are required to declare their income excluding that of their spouse? A: For the fast-track PR, combined income counts and is definitely acceptable. In the case of Category F, what matters first is to present a convincing case but the relevant criteria are not clear-cut. 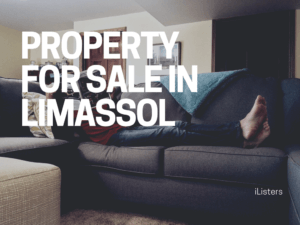 Q: If the house has been purchased by me and my wife (50% each) and it is worth slightly above EUR 300,000, can we still apply for Cyprus permanent residency? After obtaining Cyprus residency, do we need to stay in Cyprus for a certain period of time annually? A: You have the opportunity to jointly purchase the house but one of you will be the main applicant. 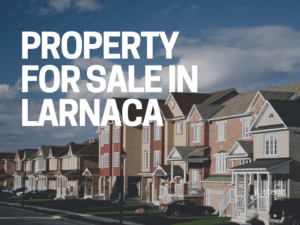 If the property you plan to purchase is not a resale and is EUR300, 000+, you can apply under the fast-track programme. According to this programme and under Category F, you are not required to be physically present in Cyprus. Upon approval of your application, you just need to visit Cyprus once in the first year and thereafter once every two years. Q: As we are in a common-law relationship, I am just wondering if we can apply for Category F as a family. A: Cypriot legislation does not recognise common-law relationships. You should either get married officially or make an investment in property and apply separately. Q: Is the applicant required to stay for a certain period of time in Cyprus after he or she has been granted Category F permit? To be specific, what are the requirements to renew the permit after one year if it is valid only for one year? A: In order to activate your permit, you need to enter Cyprus within one year when you obtain a Category F permit. Please note that the applicant is not required to physically stay in Cyprus for a certain period of time. However, they must visit Cyprus at least once every two years. If the requirements are fulfilled, it is not necessary to renew the permit as it is on a permanent basis. 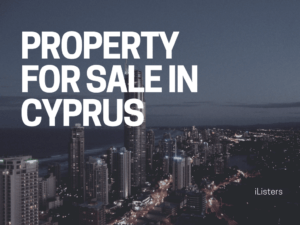 Q: Can I obtain Cyprus residency permit by investment in property? A: If you buy a house that is worth EUR 300,000 and have a stable income of EUR 30,000 per year, you are then eligible for obtaining a fast-track permit for immigration. Although this permit is for permanent residency in Cyprus, it does not enable you to be recruited in Cyprus. Q: Can I obtain residency if I apply as a senior manager in a Cypriot company? I hold a Senegal passport and have already invested EUR 100,000 into the company that deals with payment solutions. This amount of €171,000+ must have come from abroad. The amount must have really been invested in Cyprus (e.g. in remodelling of premises, office equipment). An additional amount of around €40,000 must be available in the account of the company. The company must really be present in Cyprus; virtual offices are not acceptable. The owner of the company must be a foreigner. You need to provide evidence for the items listed above along with supporting documentation e.g. bank transfers, invoices, receipts, etc. 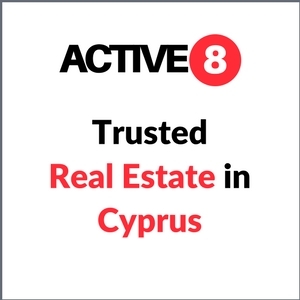 Q: Can I obtain information on how to apply for Cyprus residency by investment? How can I finally make an application for Cypriot citizenship? A: Applicants who invest €171,000 in a Cypriot company can obtain a temporary permit for residency that is valid firstly for 1 year and is later renewed for 2 years. After 5 years of residency, it can change into permanent residency. After you have resided in Cyprus for 7 years (5 years as a temporary resident + 2 years as a permanent resident), you will have the opportunity to apply for citizenship by naturalization. In case you are already an EU citizen, you just need to meet simpler conditions to obtain permit for temporary residency. Q: What requirements are to be met to obtain residency in Cyprus? How long am I required to stay physically within Cyprus? What if I can’t live there? Is it possible not to make investments in property? What type of company am I to make an investment in? A: To maintain your residency, you need to physically stay in Cyprus 6 months plus 1 day annually. Your residency may be withdrawn if you stay in the country less than this period of time. If you do not intend to obtain Category F permit, you cannot make any investment in real estate. In order to obtain residency permit and be able to work in Cyprus in the capacity of a senior manager, you need to invest EUR 171,000 in Cyprus and incorporate a new company there. Q: I plan to trade over EUR 171, 000 but in forex. What do you mean by investment? What kind of investment should I make?